Dusit International has confirmed it will develop a second project in China, the Dusit Devarana Hainan. Scheduled to open in 2013, the 300-room resort is located within the rare natural 93-degree hot springs and will showcase various spring-water features, from outdoor bathing pools to en suite bathrooms supplied with fresh hot and cold spring-water. 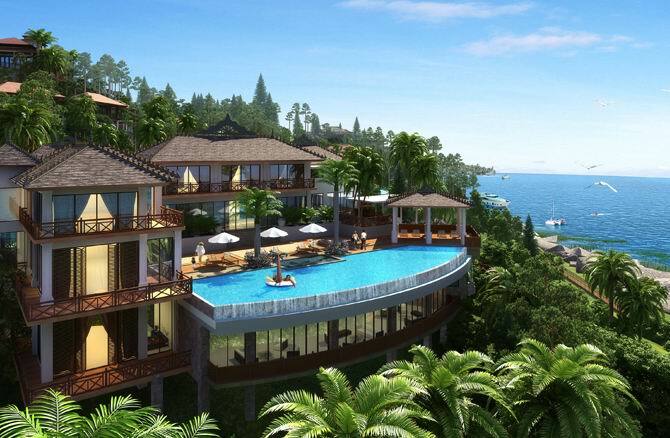 The forthcoming resort is located on Baoting’s “Seven Fairy Mountain” approximately 80km from Sanya. Dusit Devarana Hainan is being designed as a low-rise complex of villas and deluxe rooms. The resort will feature more than a dozen crafted spring-water bathing pools of varying sizes and temperatures. The resort will offer a choice of two restaurants including Western and Chinese cuisines while a natural mountain river cuts through the complex, adding aesthetic appeal. Outdoor activities available in the surrounding region, such as mountain trekking and cycling, make it a desirable recreation destination. Dusit International’s inaugural resort in China is the Dusit Thani Hainan.